Mo-town belt made from fine grain leather. 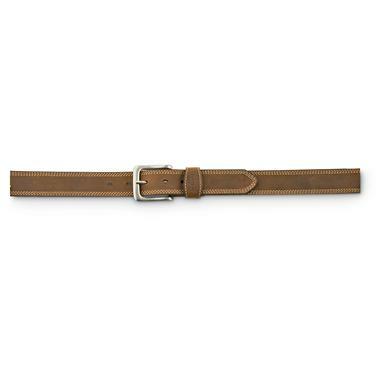 Keep it classy with this Carhartt Detroit Belt. This belt is made completely out of 100% rich italian leather. The leather guarantees the fine quality of the product. 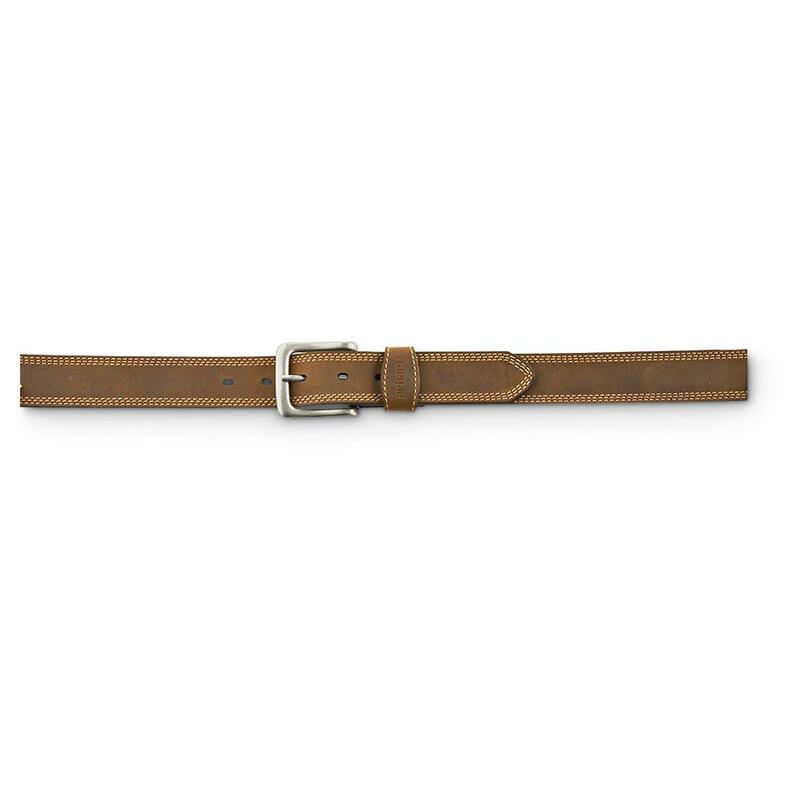 This Carhartt Belt features premium bridle leather, triple-row stitching and antiqued silver-tone buckle. The belt is held securely by a metal buckle fastener. The Carhartt belt is available in brown. It comes in various sizes from 34" waist measurement to 54". Because of the fine nature of the leather, item must be spot cleaned. Comes in various sizes from 34" to 54"
Get your sturdy workman's belt today!